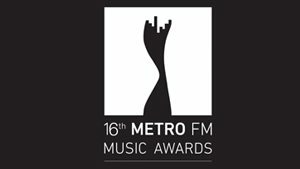 Metro FM Builds Up To The Biggest Awards Show Of The Year With Exciting Activations! 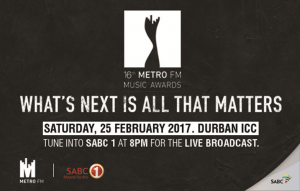 The 16th METRO FM Music Awards, in partnership with the City of Durban (EThekwini Municipality) and the Kwa-Zulu Natal provincial government, will once again take place at the ICC in Durban on Saturday, 25 February 2017. 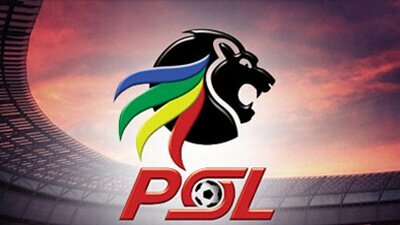 Ticket sales are fast selling out with general tickets going for R750 and Golden Circle selling at R850. Last year saw the success of Yung Royalz who were selected as one of the groups that showed potential during the METRO FM Awards workshop with KZN upcoming artists. 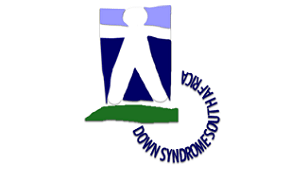 The group has since been play-listed on stations such as METRO FM, Ukhozi FM and Umhlobo Wenene amongst others. They have released a music video that is on high rotation with MTV Base. They are also on the Top 40/30 on various radio stations including YFM. Strictly by invite, this event will target those who love fashion and the finer things in life. 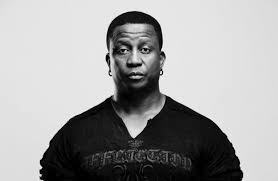 This activation will target the Kwaito and house music lovers. 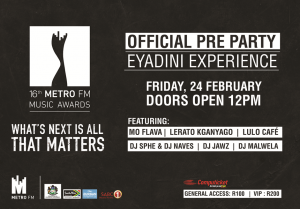 It will profile Eyadini and Umlazi on radio through promos promoting the event, interviews on the day and television broadcast. 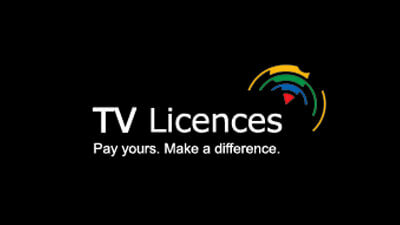 Live SABC 1 music programme LIVEAMP, will broadcast live from the venue. Doors Open @ 12:00 Until late. Tickets are @ COMPUTICKET for the public at R100 General Access & R200 VIP. 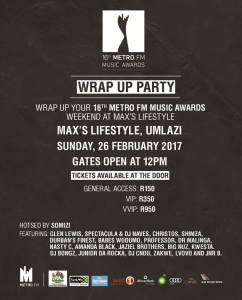 To close off the 16th Metro FM Music Awards weekend soulfully, a wrap-up party will be held at Maxi’s lifestyle in Umlazi. Guests can enjoy the township lifestyle while listening to their favourite tunes with, some of METRO FM DJ’s such as Amon Mokoena, Sentle, Wilson B Nkosi and Nothemba Madumo. 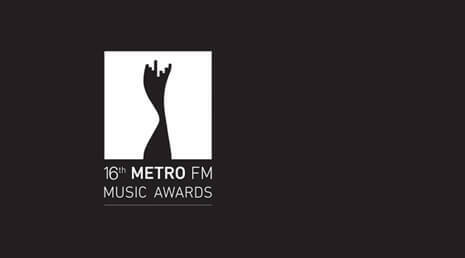 METRO FM once again thanks its sponsors KZN provincial government, EThekwini Municipality, BP, AUDI, AFRICAN BANK, CAIVIL, SA EXPRESS and SABC1 for being part of the 16th edition of the METRO FM Music Awards.